Hedgerows weave a wild legacy into our intensively-managed and built environment. A line of windbreak trees, regularly spaced, are laced together with hazel whips until rooted by more than just their own strength into the earth, but by the entire diaphragm of ivy and bramble. Hedges embellish the fields of man; their ribbons divide flock from crop, and neighbor from neighbor, in ways that are unique to their own countryside. They are economical, requiring only native materials for the living whips and heathering, plus sufficient time to thicken. Hedges may chronicle political history in the U.K., but they also illustrate the dense continuum of growth in biodiversity. The species within an ancient hedge might include trees: holly, ash, willow, hazel, beech, oak, dogwood, buckthorn, and spindle. Trees with fruits are particularly prized – crab-apple, plums and pears can support many berries beneath – dewberries, blackberry brambles, elderberries. The infill plants include stalwarts of the homeopathic medicine cabinets: wild honeysuckle and hops, rowan and roses, hawthorn and sloe, interlaced with ivy. And then there are the fauna, badger and dormouse and, of course, hedgehog. Birds from every backyard in England: bluetits, blackbirds, thrushes, robins, wrens, sparrowhawks, and owls. Hedges offer great diversity for the insect kingdom too, from butterflies to bees. It is an amazing feat to pack into a space 8 feet wide by 6 feet high. 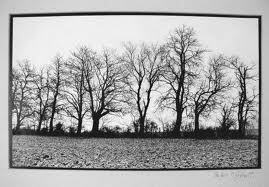 The hedgerow is a landscape that promotes neglect and tolerance, concealment and habitat, encirclement and escape. They exemplify a landscape of excitement, with a manageable amount of wildness for children without a tradition of independent spirit and courage, in a world where obesity and structured play have overtaken exploration and discovery. Hedgerows are a metaphor for placing children in contact with the wild places, to play in a world that leads to wonder and science, art and travel. Hedges remind us of our human responsibility to maintain the natural world. Not in straight lines, like the topiary hedges of boxwood and privet, but in ways that cultivate lush growth at the very limit between kept and unkempt. They are one tool of a resilient landscape, with tremendous benefit for both defence and sustainability. Truculent and persistent, the ragged native hedge thrives without much care, providing food for animals and humans. Living walls are sustainability’s modern version of the hedge. They embellish the edges not of farms, but the facades of banks and other new fields of opportunity. They provide shade, heat reduction, even habitat in the urban environment, and wrap the fertile space of commerce in a narrow thread of living plants, much like the hedge. Vertical systems may someday provide fruiting plants among their various species, like their precursors. Living walls certainly have the potential to deflect debris impacts, protect glazed enclosures, insulate exterior walls, and deter invaders – important defensive functions. At projects as diverse as the Fondation Cartier in Paris by Atelier Jean Nouvel and Patrik Blanc, to a screen of bottle-grown terraria along a back fence, the shrinking land available in cities encourages green space stacked instead of dispersed across widespread fields. But keeping the dividing lines green, and climate-toughened, helps maintain a fringe of wildness, even in the tamest urban condition.